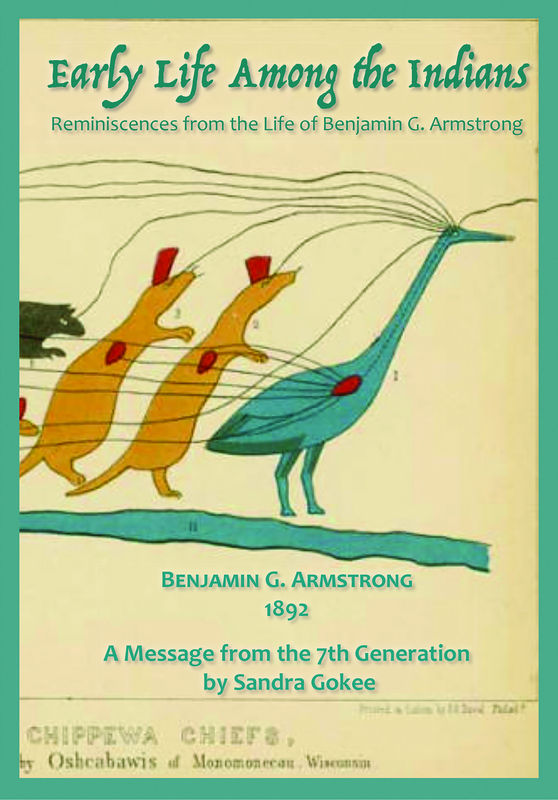 First published in 1892, Early Life Among the Indians is the biography of Benjamin Armstrong, who in 1840 took up his residence in northern Wisconsin. Having learned the Ojibwe language, he became a well-known interpreter. He was known for respecting and documenting the traditional life and culture of the Anishinaabe and became the adopted son of Ke-Che-Waish-Ke, Chief Buffalo, the most respected leader of the Lake Superior bands. In 1852 Armstrong accompanied Great Buffalo and other Ojibwe leaders to Washington, D.C., to plead against the proposed forced relocation of the Ojibwe west of the Mississippi. A meeting between the chiefs and President Millard Fillmore was a success and brought a reversal of the removal order of 1849. Through his respect and love for the tribes and his connections with Chief Buffalo’s family, Armstrong was granted access to leaders of all the Ojibwe bands. Early Life Among the Indians contains his recollections of battles with Sioux adversaries, memoirs of the Sandy Lake tragedy, accounts of the crucial treaty councils that defined modern Ojibwe life, the arrival of miners and loggers in the Ojibwe homelands, and much more about northern Wisconsin in the 19th century. This edition also contains a special message from the 7th generation of Chief Buffalo, his great-granddaughter Sandy Gokee, Anishinaabe kwe, mother, a daughter, a student, a teacher, and water protector living on the shores of Lake Superior. Made possible by a generous grant from the La Pointe Center. Proceeds from the sale of this book will be used to support the Madeline Island Jingle Dress Dancer Project. Odanah, WI, January 5, 2017- The Bad River Tribal Council passed a formal resolution Wednesday evening, January 4th that established the Tribes decision not to renew its interests in the grant of easement for rights-of-way of Enbridge Energy’s Line 5 crude oil pipeline through the Bad River Reservation. Furthermore, it calls for the decommissioning, and removal of the pipeline from all Bad River lands and watershed. The Band has directed Tribal staff to begin planning for the Line 5 removal project development and the environmental issues/hazards that exist with removal of old pipelines including hazards response and health study, pipeline contents recycling and disposal, and surface restoration. “These environmental threats not only threaten our health, but they threaten our very way of life as Anishinaabe. We all need to be thinking of our future generations and what we leave behind for them.” Says Tribal Council Member Dylan Jennings. 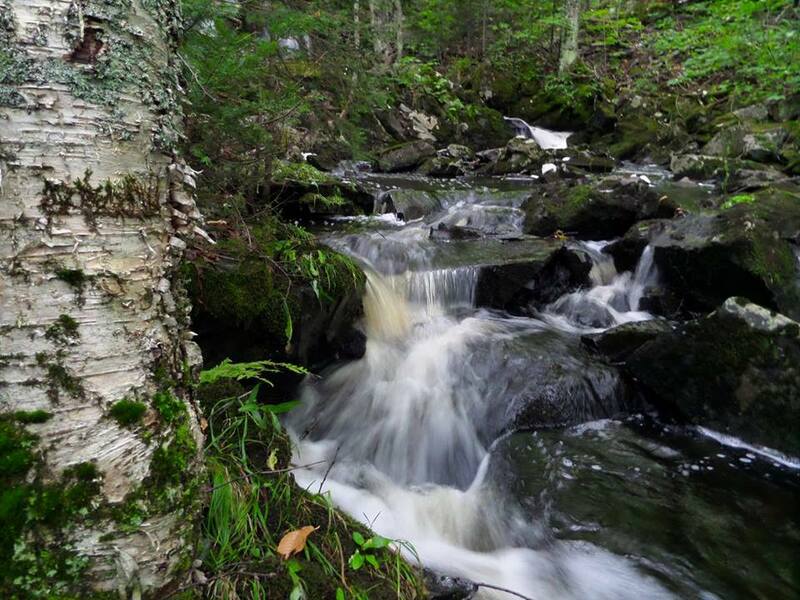 With over 7,000 members, the Bad River Band of Lake Superior Tribe of Chippewa Indians is located on an over 124,000-acre reservation in an area within Ashland and Iron Counties on the south shore of Lake Superior (known by the tribe as Gichi Gami). 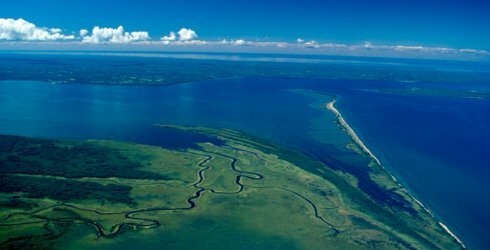 The Ojibwe people have a long and rich heritage throughout the Great Lakes region and at Odanah on Lake Superior prior to European traders, missionaries and settlers and continuing to today. Treaties signed by eleven Ojibwe Tribes ceded territory in the region, including what is currently the upper one third of the State of Wisconsin. Learn more about the Bad River Band of Lake Superior Tribe of Chippewa Indians on their website, badriver-nsn.gov. John Bolenbaugh is coming to the Chequamegon Bay area for a two-day intensive to share his experiences as a former clean-up worker for S.E.T Environmental and to tell the story of how he became a whistleblower for the largest tar sands oil spill in North American history. 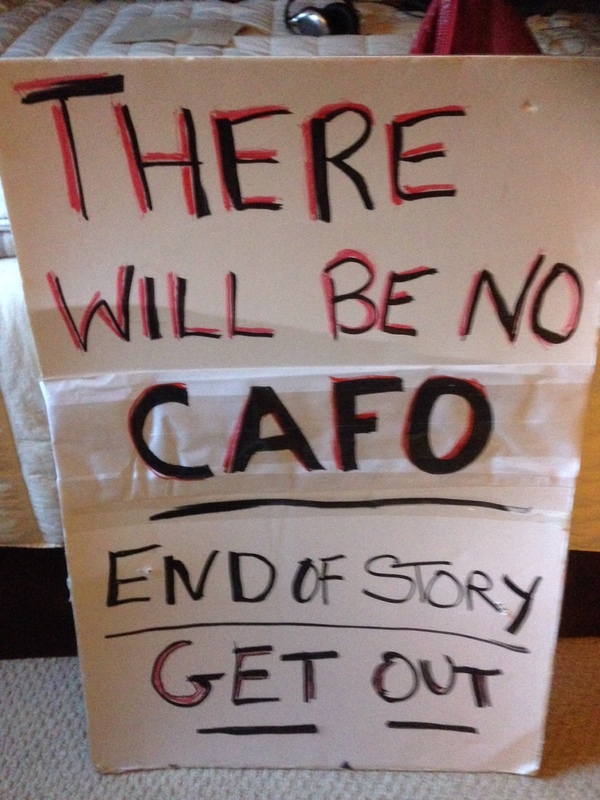 The former sub-contractor for Enbridge will discuss the catastrophic Kalamazoo River tar sands pipeline spill in 2010 in Michigan, and his successful efforts to expose the company’s attempts to cover-up their incomplete and shoddy clean up work. 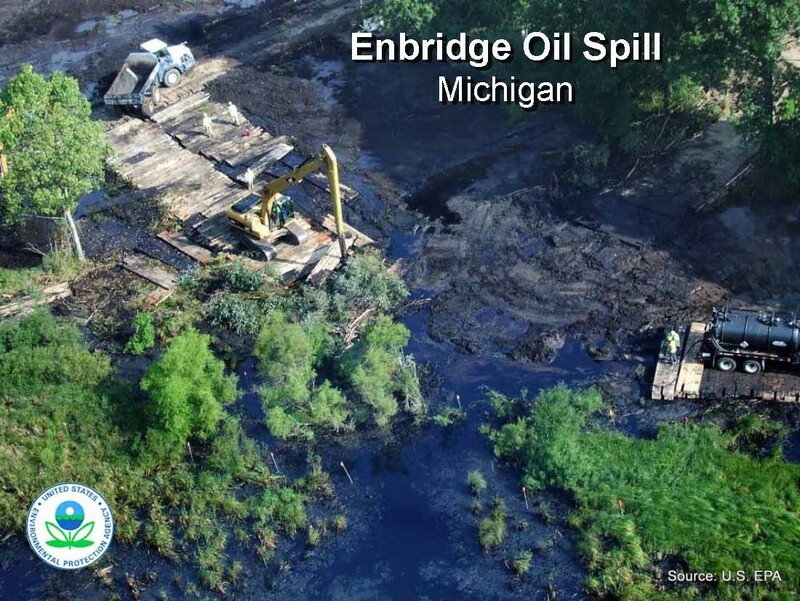 Bolenbaugh’s truth telling forced Enbridge to re-clean several dozen areas that had been approved as 100% clean by Enbridge, the EPA and the Michigan Department of Environmental Quality. 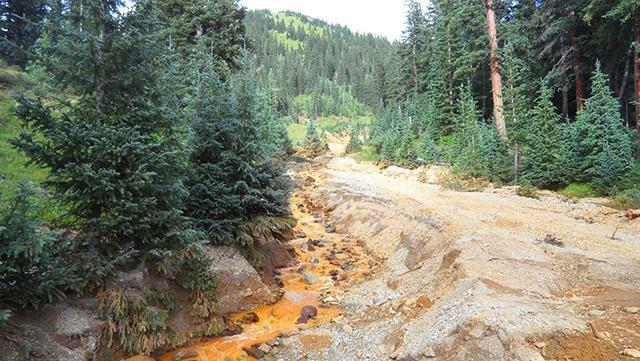 His exposure forced the EPA to demand that Enbridge re-clean the covered up areas and re-dredge the river at an estimated cost of $600,000,000. John comes to the Lake Superior region to take part in a series of Community Conversations with local citizens to educate and inspire participation in a grass roots effort to take action to protect our water from experiencing a disaster resulting from a pipeline spill.